You are here: Home Product PC Peripherals Who will be America’s Next Top Streaming Star? Who will be America’s Next Top Streaming Star? Posted on December 18, 2015	by Logitech	in PC Peripherals, Video	with Comments Off on Who will be America’s Next Top Streaming Star? Streaming has certainly brought out the weird in people, but it has also showcased some of the best talent in the world and created an avenue for skill and knowledge sharing. You can log onto YouTube to learn how to tie your first tie or drop by Twitch to see your favorite gamer pwning – to create these gems, streamers need the right gear. The HD Pro Webcam C920 is the perfect tool to help streamers say all they want to say to the world. 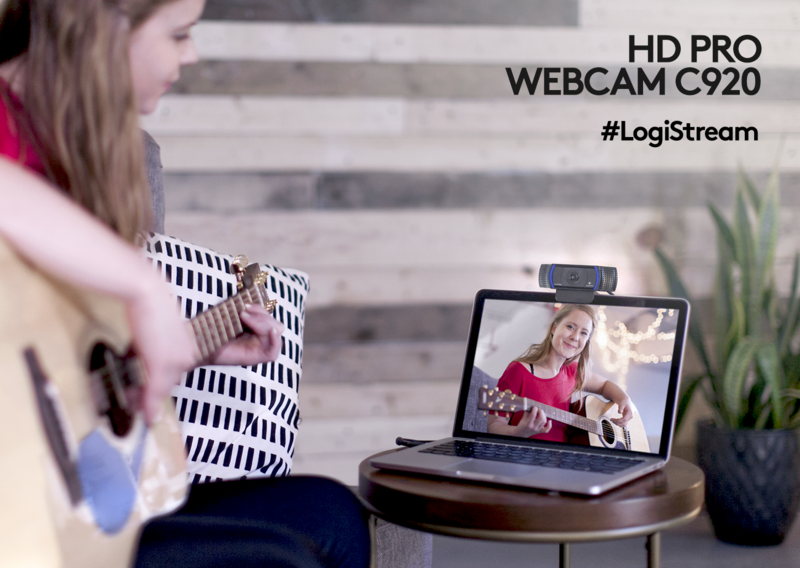 Whether that be showing off musical talents or checking in with a client across the globe, this cam has you covered. With the C920 you can record vibrant, full HD 1080p clips with true-to-life video with natural stereo audio. Clip it onto your laptop or monitor or prop it up with a tripod and get going. This week, we’re asking folks to show us their streaming stations for a chance to win. Do you have a great lighting set up? A special studio? Some great background props? Send us a pic on social using #LogiStream for a chance to win an HD Pro Webcam C920 and a G933 ARTEMIS SPECTRUM Gaming headset. Plus, for all you gamers – we’re partnering with Xsplit.com to dole out 100 promo codes for 3 months of free XSplit Premium. Head over to the LogitechG Facebook page and click on the Xsplit Codes tab to get yours before they run out!